CHERRYFIELD — Cottontail Cottage Animal Sanctuary, formerly known as Cottontail Cottage Rabbit Rescue, has moved operations from Lamoine to a new 50-acre property in Cherryfield to expand their rescue work to more animals in need of permanent sanctuary including farm animals, senior/special needs dogs, feral cats and small animals, as well as rabbits. Fundraising is underway for CCAS to develop the facilities needed to accommodate the animals who will live out their lives at the sanctuary, including a 36-by-40-foot pole barn scheduled to begin construction on April 14. 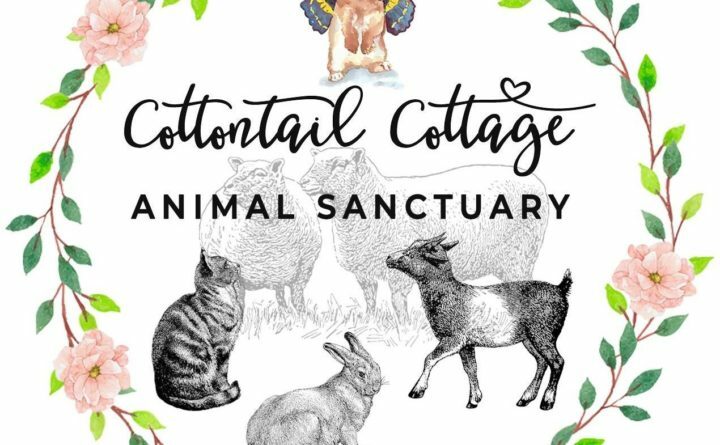 CCAS is planning around a small sanctuary where in addition to their bunny rescue operations, rescued farm animals, senior dogs and feral cats will have the individualized support and care they deserve and the opportunity to become who they really are in a safe and loving space. The new property will also include beautiful nature trails and a visitor’s center. Nichols states that they are looking for donors to help spear-head this project and would be grateful for their support. Donations can be made on their website at www.cottontailcottage.org or mailed directly to Cottontail Cottage, 471 Milbridge Road, Cherryfield, ME 04622. Cottontail Cottage is a 501©3, charitable non-profit.